In the not so distant past, marketing of software systems, hardware or IT services by channel partners or value-added resellers (VARs), was secondary in importance to sales and business development. Today, changing market dynamics have forced channel partners, vendors and publishers to reconsider and elevate marketing to mission critical status. 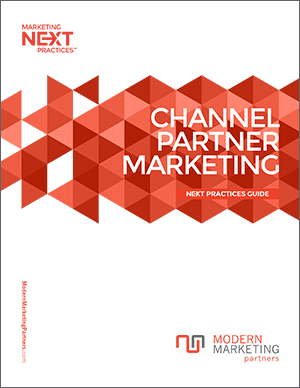 This Channel Marketing Guide identifies four (4) reasons that effective channel partner marketing is more important than ever, followed by Top 10 Marketing Best Practices for Channel Partners, a channel partner marketing process flowchart , case study, and links to additional resources. If interested in Channel Marketing Services and a free consultation, link here.